From the poignant to the hilarious – and downright shocking. Friday, 7 April 2017, is a day many South Africans will never forget. 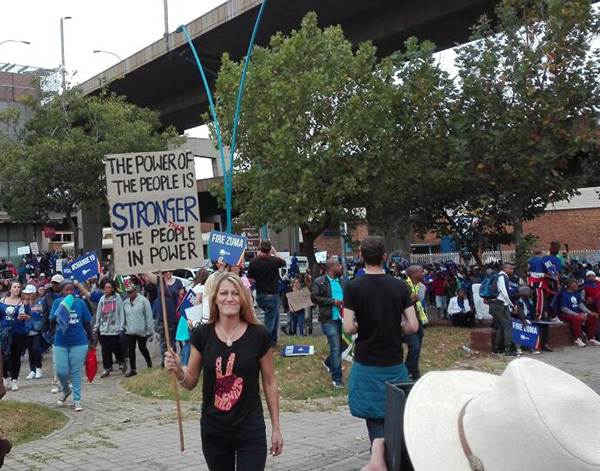 It was the day thousands put their work and other responsibilities on hold, to take to the streets in protest of the country's commander in chief. 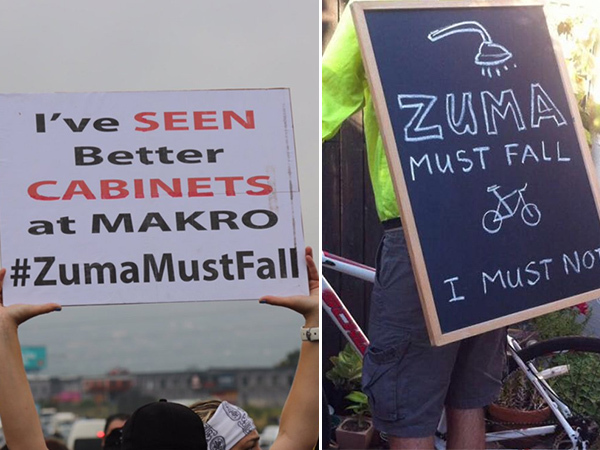 While the gravity of the matter should not be undermined -- it's good to know that South Africans always know how to laugh at themselves. 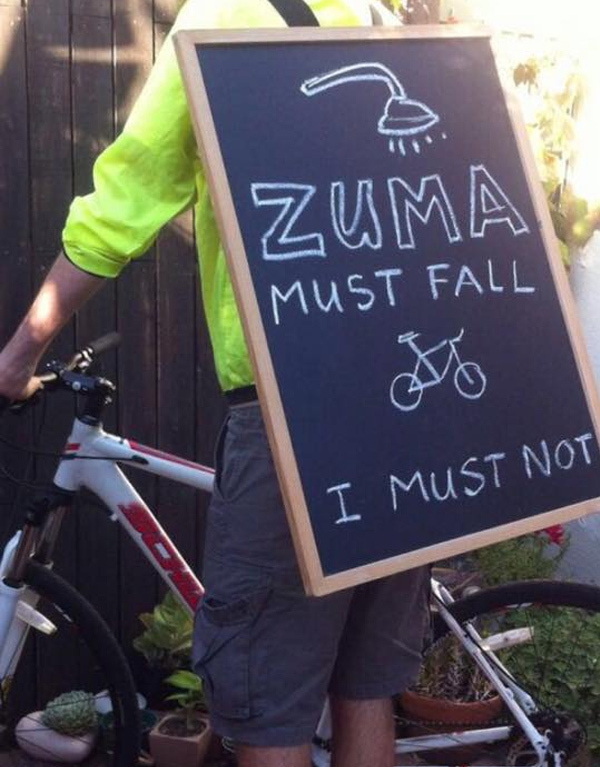 Here are some of the best posters and placards that appeared on social media. 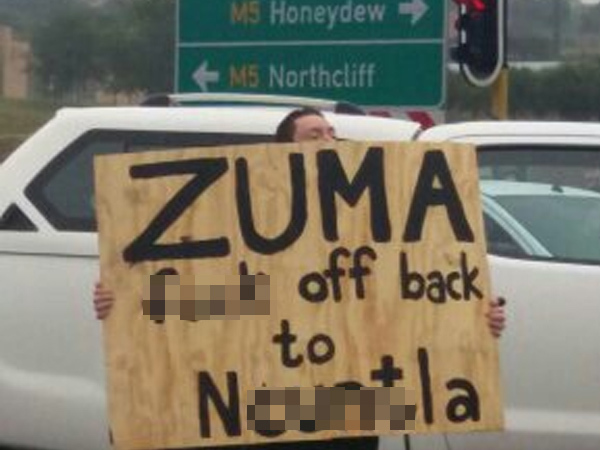 Zuma must fall trucks caused havoc on Cape Town's roads this morning. 21. Why bring Bey into this?